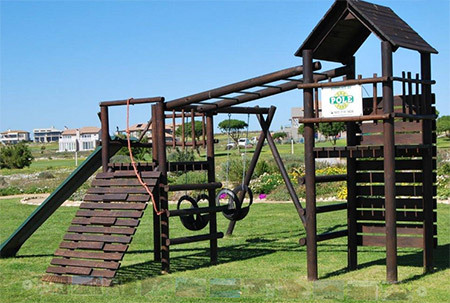 The Pole Yard in Western Cape offers a variety of DIY plans for building a jungle gym, and for those who don't live in this region, you can still obtain the plans to build a variety of jungle gym designs. There's no denying that kids love a jungle gym. As soon as they spot one of these in a garden or park, they're off and running and you won't see them for hours. Not only does a jungle gym provide hours and hours of entertainment, they also help children to develop coordination and muscle tone - beats exercising their thumbs while sitting on their butts all day! Developmental play is essential for young children, as is imaginative play. 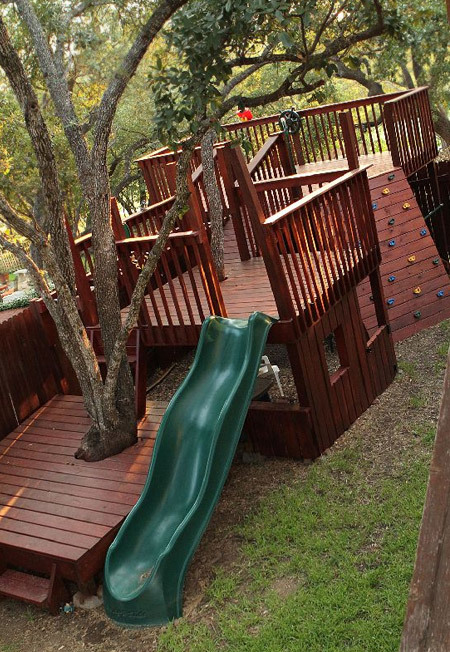 A well-designed jungle gym will feature several elements that provide exercise and a way to put their imaginations to good use, and if you build it yourself, a jungle gym can be a worthwhile investment for any parent. 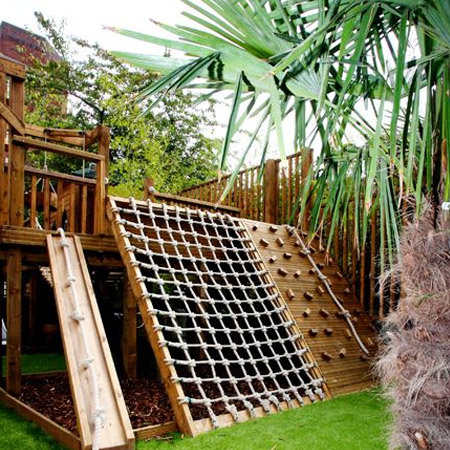 On Home-Dzine receive regular enquiries from readers wanting to build a jungle gym in their garden, but plans have been few and far between and the designs limited. I was excited to discover that The Pole Yard in the Western Cape offers a variety of jungle gym designs that you can build, and you can purchase the materials at any timber yard close to you. Visit www.poleyard.co.za for more information.